Eventually, Xiaomi has a curtain with the new handset Mi play of its new series play. Learn everything about the price and specification of Xiaomi Mi Play. After several leaks and reports, Xiaomi Mi Play has finally launched in China. This is the first smartphone of the Play series of Xiaomi. Waterdrop display is given in Xiaomi Mi Play. The smartphone is equipped with a finish glass-like rear glass, which is a gradient finish. Two rear cameras are provided in the handset. This smartphone has a 5.84 inch Full HD + (1080x2280 pixels) display. The aspect ratio of the screen is 19: 9. The phone has an option of 4 GB RAM and 64 GB inbuilt storage. Increase inbuilt storage via microSD card to 256 GB. Xiaomi Mi Play has a dual camera setup with a primary and 2-megapixel secondary sensor with aperture F / 2.2 on the rear. The dual camera comes with LED flash. I have been given an 8-megapixel front sensor for Selfie in Play. The smartphone also has a fingerprint sensor on the rear. 3000mAh battery is given to power the device. 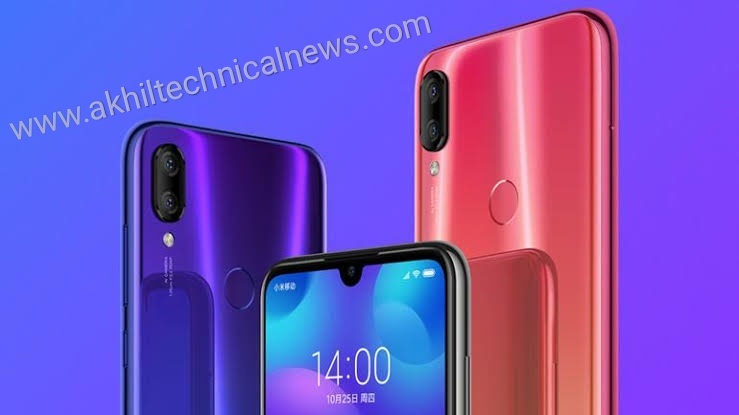 This smartphone from Xiaomi runs on Android 8.1 Oreo-based MUI 10 Phone Dual Sim Supports There are 4G VoLTE, Wi-Fi 802.11 AC, Bluetooth 4.2, GPS / A-GPS, and USB Type-C for connectivity in this Xiaomi handset. The handset contains an accelerometer, ambient light, geomagnetic and gyroscope sensors. The dimension of the play is 147.76 × 71.89 × 7.8 millimeters. The price of Xiaomi Mi Play is 1,099 Chinese Yuan (about 11,100 rupees) in China. Phone Black, Dream Blue, and Twilight Gold Color Variants. All color variants have been launched with a gradient finish. In China, from December 10 on the morning of 10 o'clock in the Xiaomi offline stores, m-play will start selling. Under the launch offer, the company is offering 10 GB of data every month for 12 months on the purchase of new smartphones.